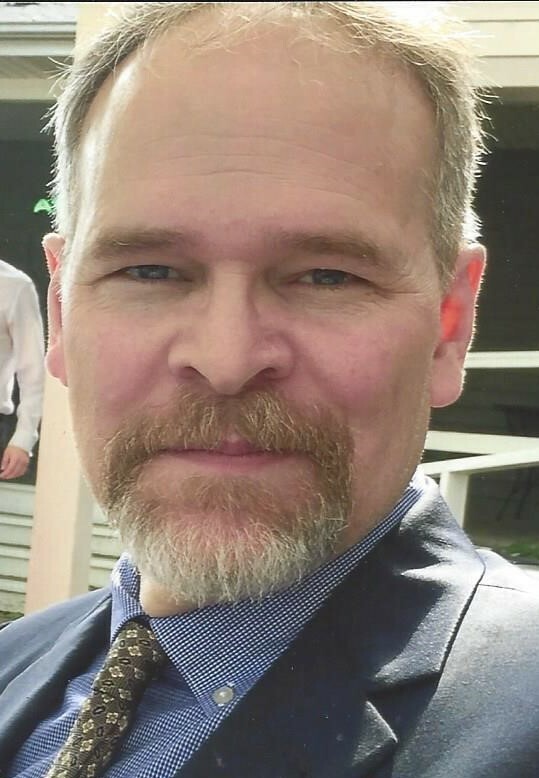 Guy R. Hunt, 55, of Petersburg, IL, formerly of Auburn, IL, passed away unexpectedly in his sleep on Thursday, July 19, 2018 in Siberia, Russia, while there on business. Guy was born January 31, 1963 in Taylorville, IL, the son of Clarence R. and Paula C. Richards Hunt. He married Laura A. Keefe on July 26, 1986 at the First Congregational Church in Springfield, IL. Guy graduated from Auburn High School in 1981. He then completed his bachelor’s degree at Southern Illinois University Carbondale in Mining Engineering and later obtained his Professional Engineering certificate. He started working at the Turris Coal Company in Elkhart, IL in 1988. Following his time there, Guy became the Director of Engineering at MaRyan Mining in Carlinville. He was currently a project manager, reporting directly to the president, for SUEK in Siberia, Russia. Guy was an active alumnus with the Delta Chi fraternal organization. His passions were flying his airplane and collecting Ford Mustangs. Guy also enjoyed golf, hunting, fishing, and raising turkeys. His most valued love was spending time with family and friends. He was preceded in death by his mother, Paula C. Hunt; and his mother-in-law, Elizabeth “Betsy” (Brown) Keefe. Guy is survived by his wife, Laura A. Hunt of Petersburg, IL; children, Ky L (wife, Katie) Hunt of Plantation, FL, and Kara Elizabeth (fiancé, Paul Jarusevicius) Hunt of Roselle, IL; father, Clarence R. Hunt of Auburn, IL; siblings, Ty C (wife, Jan) Hunt of Athens, IL, Hy H (wife, Karen) Hunt of Auburn, and Tara (husband, Tim) Kaeding of Mechanicsburg, IL; in-laws, Harvard and Betty Keefe of Springfield, IL; and several aunts, uncles, nieces, nephews, and cousins. Visitation: The family will receive friends from 5:00 – 8:00 p.m., on Thursday, August 2, 2018 at Shafer-Perfetti & Assalley Funeral Home, 202 W. Franklin St., Taylorville, IL 62568. Funeral Ceremony: 11:00 a.m., on Friday, August 3, 2018 at Shafer-Perfetti & Assalley Funeral Home in Taylorville, with Tim Kaeding officiating. Memorial contributions may be made to: The Animal Protective League, 1001 Taintor Road, Springfield, IL 62702. Nancy Mae Smart, 75, of Pana, passed away peacefully at 7:07 a.m., Friday, July 27, 2018. Born on November 2, 1942 in Pana, Nancy was the daughter of Robert and Mae (Milligan) Goethuys. She graduated from Pana High School and went on to earn her Associates Gegree in Child Care from Lakeland College in Matton. She married Hubert “Frank” Smart on August 3, 1960, and he survives. Nancy truly enjoyed her work as a Teacher’s Aide and treated every child as though they were her own. Her love for children was made stronger when her grandchildren came into the world, and she cherished every moment with them. In her spare time away from school, she enjoyed traveling and camping, and riding motorcycles with her husband. In addition to her husband of almost 58 years, Nancy is survived by their children: Julie (John) Kaufman, Franklin (Amanda) Smart, daughter-in-law: Carla Smart; grandchildren: Kyle (Karey) Smart, Matthew Kaufman, Cassidy, Michael (Whittney) Smart, Jessica Smart, Elizabeth Smart; great grandchildren: Adalee and Charlotte Smart; three sisters: Roberta, Mary, and Sharron. Nancy was preceded in death by her parents, one son: Robert Smart, and one great grandson: Liam Smart. Nancy’s husband would like to extend a special thank you to the Staff at Heritage Health in Pana for the dedication and care they showed her. Per her wishes, Nancy will be cremated, and a private family service will be held at a later date. Memorial donations may be made to the American Legion Post 0168 in Pana. McClure Funeral Home and Cremation Services is assisting the family with arrangements. Memories of Nancy, or condolences to her family, may be left online at www.mcclurefuneralhome.com. Joseph C Large II, 89 of Owaneco passed away on Friday, July 27, 2018 at 4:30 a.m. at home in rural Owaneco IL. He was born on April 28, 1929 in Pana, IL the son of Clarence and Harriet (Wilcox) Large. Joe worked as a farmer and lived his entire life on the home place. He loved the St. Louis Cardinals, fishing, water skiing, eating out at Chick-Fil-A, his John Deere farm toys and being with family and friends. Joe was a Past Master of Masonic Locust Lodge #623 in Owaneco and a member since 1953. 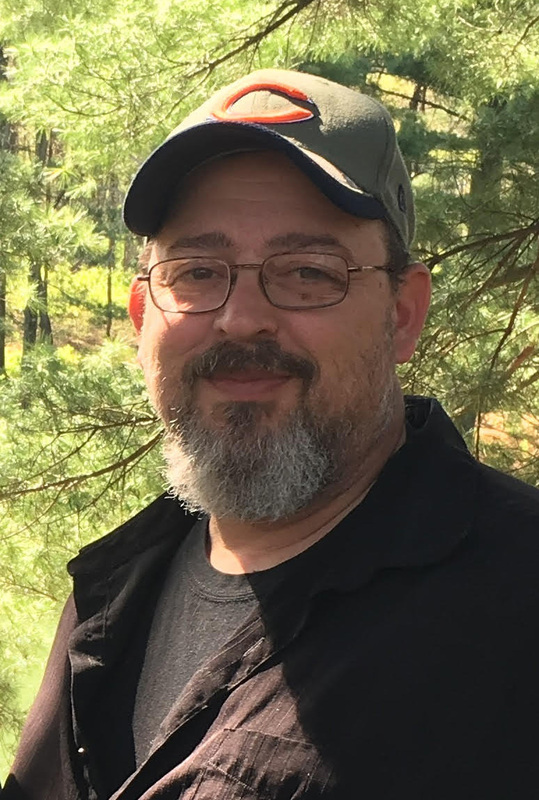 He was a member of the Ansar Shrine, the Christian County Zoning Board, Christian County Farm Bureau Board, and Taylorville United Methodist Church Board. 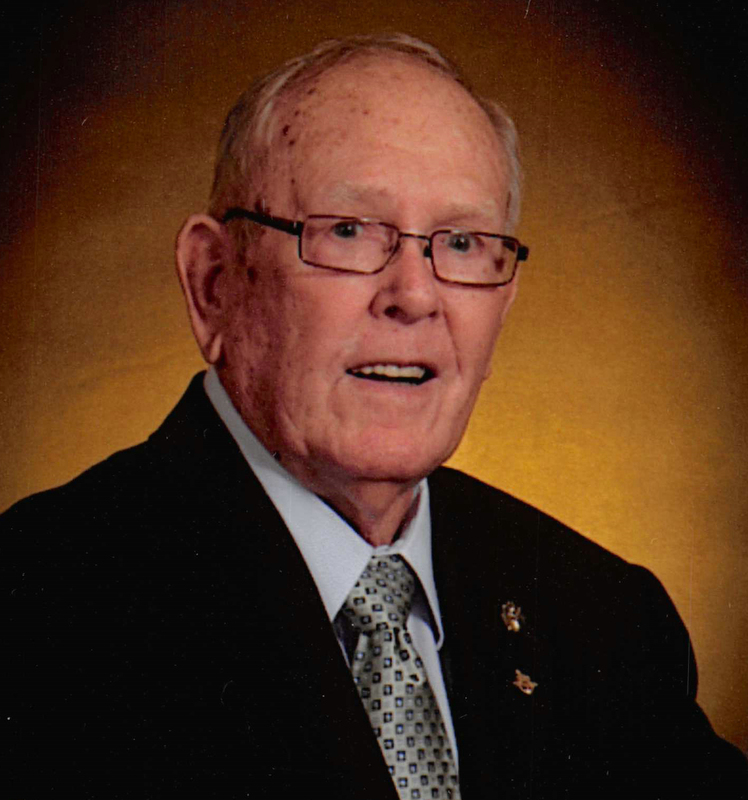 He served as a Christian County Republican Committeeman, a chairman for the Land of Lincoln farm toy show, and served on the Buckeye Cemetery Board. Joe married Nita Joyce Ryan on October 3, 1948 in Morrisonville, IL. She survives along with sons: J.C. (Connie) Large of Owaneco, IL, Douglas Large of Owaneco, IL, Tim (Cheryl Bursa) Large of Springfield, IL; daughters: Rebecca (Ron) Boddie of Katy, TX, Deborah (David) Keith of Fisher, IL; grandchildren: Kellie (Mike Austin) Large-Cass of Springfield, IL, Brandon (Lori) Large of Taylorville, IL, Brian (Mary) Keith of Bloomington, IL, Robert (Nicole) Keith of Carol Stream, IL, Lindsay Boddie of San Marcos, TX, Bryce Boddie of Katy, TX; great-grandchildren: Paige Large of Taylorville, IL, Brody Large of Taylorville, IL, and baby boy Keith due in November; sister: Ruth Large Allen of Galesburg, IL; and several nieces and nephews. Joe was preceded in death by his parents. Visitation will be held on Tuesday, July 31, 2018 from 5:00-8:00 p.m. at Sutton Memorial Home in Taylorville, with masonic services starting at 8:00 p.m. Funeral service will be held on Wednesday August 1, 2018 at 10:00 a.m. at Sutton Memorial Home in Taylorville, with Pastor Becky Lembke and Pastor Bob Cook officiating. Burial will be held in Buckeye Cemetery in Rural Owaneco. Memorials may be made to Taylorville First United Methodist Church 200 S. Walnut St. Taylorville, Illinois 62568 or Shriners Hospital for Children 4400 Clayton Ave. St. Louis, MO 63110. James L. “Jimmy” Jones, 55, of Taylorville, passed away at 7:50 p.m. on Thursday, July 26, 2018 at Memorial Medical Center in Springfield, IL. Jimmy was born August 3, 1962 in Taylorville, IL, the son of James G. and Rita (Durbin) Jones. He married Robin Robinson on August 26, 2017 at the Church of the Nazarene in Taylorville, after over 18 years of companionship. Jimmy graduated from Taylorville High School in 1980, and proudly served his country in the United States Marine Corps. He went on to work for J.E. Merritt in Decatur for several years, before being employed by Stephen Coy Construction, Inc., as a roofer, for many years. Jimmy was a member of the Church of the Nazarene, and actively worked to bring new members into the church. He had a forgiving heart and would help anyone in need. Jimmy lived his life for the Lord and was beloved by his family and many friends. He was preceded in death by his paternal grandparents, Tom and Edith Jones; maternal grandmother, Agnes Durbin; uncles, Paul, Herman, and Francis Durbin, and Tommy Jones; aunts, Theresa Murray and Eldora McDonald; and cousins, Bart Rickman and Crystal Cox. Jimmy is survived by his wife, Robin Jones of Taylorville, IL; sons, Josh Hill of Kincaid, IL, Matthew and Shane Jones, both of Taylorville, IL, and Brandon Jones of Kincaid, IL; daughter, Rachel Jones of Taylorville, IL; step-daughters, Melissa Orstead of Tennessee and Rebecca Orstead of Pontiac, IL; 14 grandchildren; parents, James G. and Rita Durbin of Ludington, MI; siblings, Michael Jones of Florida, Julie (fiancé, Mike Prosser) Jones Gilmore of Herrick, IL, and Kristi Jones of Ludington, MI; uncles, Joseph Durbin of Taylorville, IL, Sam Jones of Parhump, NV, and Earl Jones of Springfield, IL; aunt, Margaret Crowder of Tovey, IL; and several nieces, nephews, and cousins. Visitation & Memorial Ceremony: The family will receive friends from 4:00 p.m. until the time of ceremony at 6:00 p.m. on, Wednesday, August 1, 2018 at the Church of the Nazarene, 300 S. Shumway St., Taylorville, IL 62568, with Pastor Bob Turner, celebrant. Dinner will follow the ceremony at the church. Memorial Contributions may be made to: The Church of the Nazarene, 300 S. Shumway St., Taylorville, IL 62568 or to the family of Jimmy Jones, c/o Shafer-Perfetti & Assalley Funeral Homes, 202 W. Franklin St., Taylorville, IL 62568. 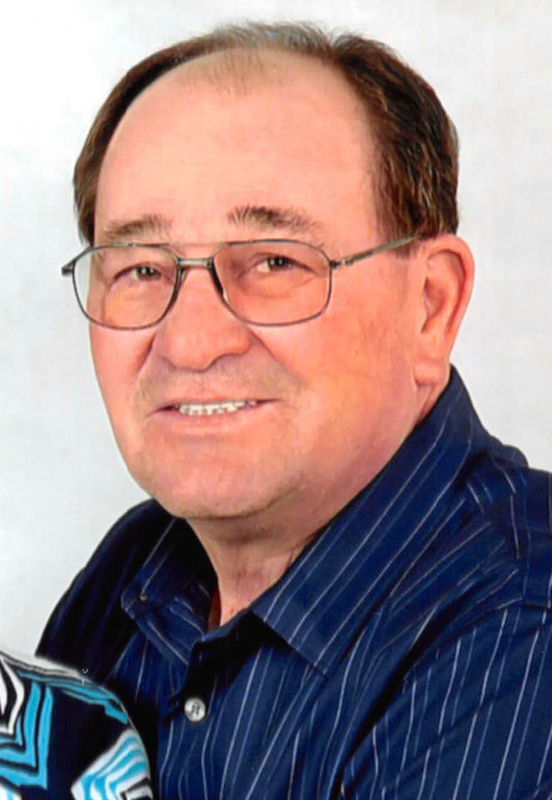 Wayne Leo Huber, 73, of Nokomis passed away on Tuesday, July 24, 2018 at 3:40 p.m. at Nokomis Rehabilitation and Health Care Center in Nokomis. He was born on August 27, 1944 to Leo and Rosa (Linderman) Huber. Wayne worked the past few years at Fay Co. in Hillsboro, IL. He enjoyed visiting with family and friends particularly his nieces and nephews. Wayne is survived by his Siblings: Melvin (Evelyn) Huber of Vandalia; Donald (Helen) Huber of Nokomis; Dorothy Archibald of Nokomis; Clement (Doris) Huber of Nokomis, Charlie (Wib) Huber of Tolono, IL, Barb Duncan of Taylorville several nieces, nephews and great nieces and great nephews. He was preceded in death by his Parents, nephew Seth Marquess, brother-in-law Stanley Archibald and niece Karen Huber. Rosary will be held at 9:15 a.m. at St. Louis Catholic Church in Nokomis, IL. Visitation will be held on Friday, July 27, 2018 from 9:30-10:30 a.m. at St. Louis Catholic Church in Nokomis. Funeral mass will follow the visitation starting at 10:30 a.m. at St. Louis Catholic Church in Nokomis with Father Albert Allen officiating. Burial will be in Calvary Cemetery in Nokomis, IL. Memorials may be made to St. Louis Catholic School 509 East Union Street Nokomis, IL 62075 or to an organization of the donor’s choice. A time of visitation with his family will be held at Quiram-Peasley Funeral Home in Atlanta Il, from 10:00 a.m. until 1:00 p.m. on Saturday. 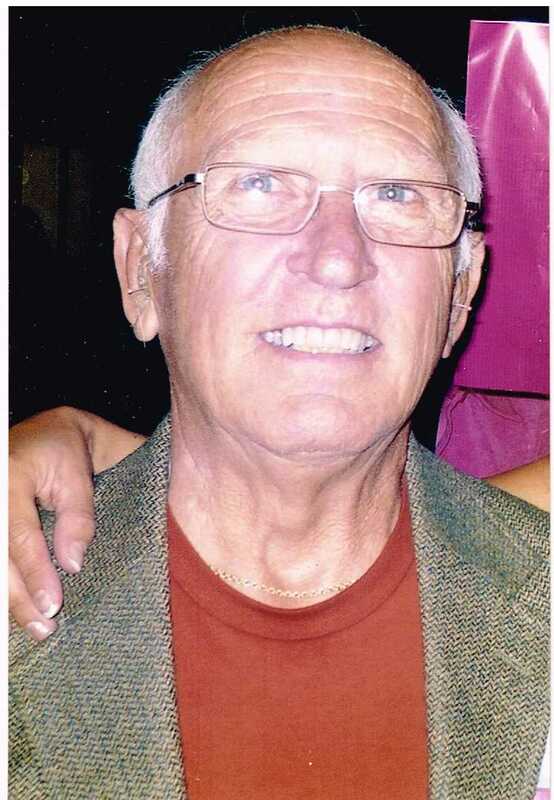 Tedd Allen Behrends, 65, of Lincoln, Illinois passed away at 3:01p.m. on Monday, July 16, 2018 in his home. He was born on September 9, 1952 in Ft. Leonard Wood, Missouri, the son of Henry Edward and Mary Jane (Stauthammer) Behrends. Tedd graduated from Taylorville High School in 1970 and earned his Associates Degree from Lincoln Land Community College. He married Mary Kay Greive in 1974 and they later divorced. In 2002 he married Tina Hawkes, and she preceded him in death in 2008. He worked in maintenance at the Eaton Corporation in Lincoln. Tedd was a member of the NRA and the Lincoln Sportsman Club. He enjoyed riding motorcycles, air rifle target shooting, reading science fiction books, and watching college basketball, especially the Illini. More than all he loved his daughters and grandchildren. He is survived by his daughters: Heather Whetsell (Aaron) and Holly Orr (Jeremy) both of Taylorville; mother: Mary Jane Behrends of Kincaid; grandchildren: Mallory Westrick, Macey Westrick, Dominic Orr, and Isaac Orr all of Taylorville; siblings: Nancy McKinney (Dana) of Taylorville and Dennis Behrends (Barb) of Kincaid; and several cousins, nieces and nephews. He was preceded in death by his father Henry and wife Tina. Mr. Behrends will be cremated, and a private family graveside service will be held at a later date. 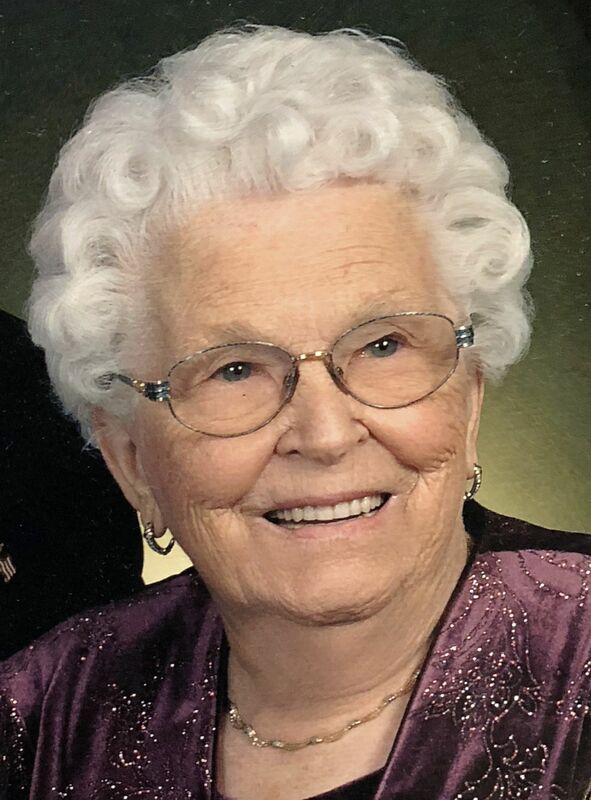 Eva May (Cyr) Gagne, 96, of Taylorville, IL, passed away peacefully at 3:05 p.m on Sunday, July 15, 2018 at Memorial Medical Center in Springfield, IL. 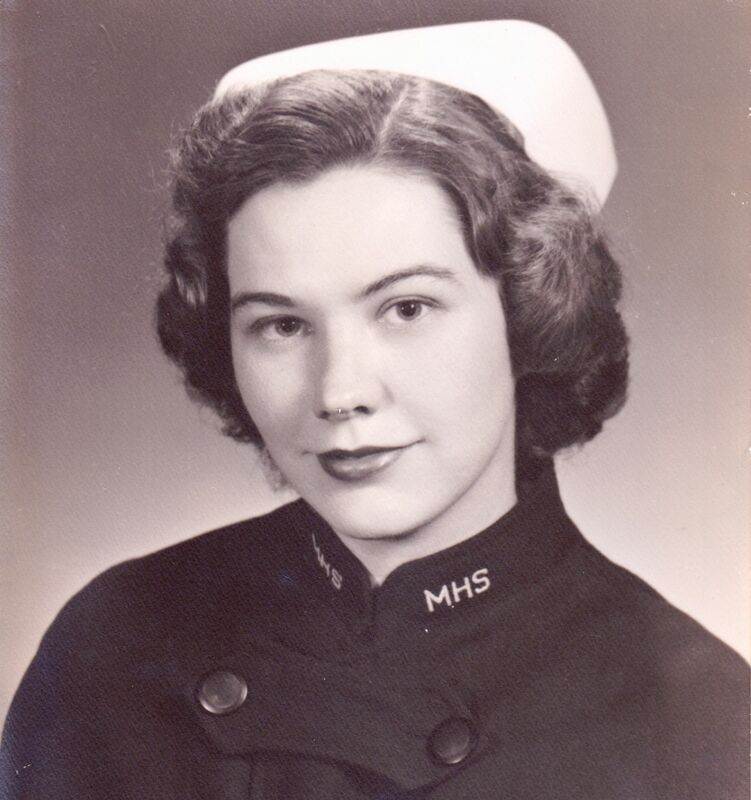 Eva May was born November 6,1921 in Rumford, Maine, the daughter of Louis P. and Theresa T. (Fecteau) Cyr. She married Stephen J. Gagne on May 23, 1941 in Lewiston, Maine. He preceded her in death on February 7, 2007. She was also preceded in death by her parents; son, Michael Gagne; daughter-in-law Catherine Gagne; and brother Maurice Cyr. Eva May is survived by her six loving children, Lorraine (husband, David) Judy of Ocala, FL;James (wife, Linda) Gagne of Edwardsville, IL; Elaine (husband, Frank) Mussich of Danville, PA;Robert (wife, Pat) Gagne of Johnston, IA; Paul (fiancée, Betty Asmussen) Gagne of Taylorville, IL; Lisa (husband, Bill) of Mt. Holly, NC; grandchildren, Laurie Gagne of Irving, TX; Julie Gagne of Glen Carbon, IL; Stephen and Daniel Judy of Ocala, FL; Gregory Mussich of Tannersville, PA; Kim Mussich of Danville, PA; Cory Monnens and Monica Gagne of Minneapolis, MN;Patrick Gagne of Taylorville, IL; Brittany Tinkham of Henderson, IL; Brandon Asmussen and Kayla Asmussen of Edwardsville, IL; Matthew and Tim Owens of Maryland; and great grandchildren,Collette Judy, Kaylee Mussich, Beckett Judy, Greer Judy, Paige Johnson, and Colten Gagne. Eva May retired from Bates Mill Factory in Lewiston, Maine where she was a seamstress. 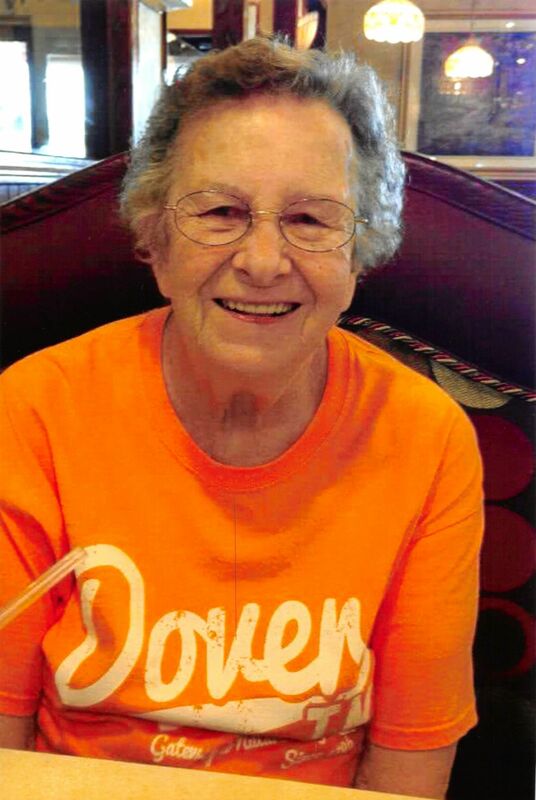 She was a member of St. Mary’s Catholic Church in Taylorville, a long-time member of the Catholic Daughters of America, and a past member of the St. Vincent Memorial Hospital Auxiliary where she volunteered her time. 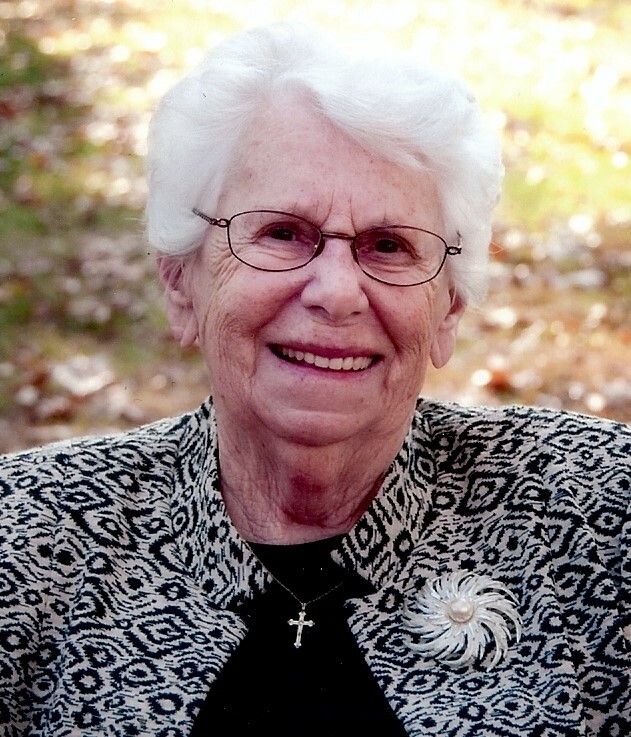 Eva May was passionate about her Catholic faith, belief in God and love for her family. She was an incredibly strong woman and fiercely loyal to her children, grandchildren, and great grandchildren. She enjoyed reading, praying the rosary, shopping, and beautiful flowers. Eva May will be missed by many as her loving spirit was contagious and her laughter infectious. Visitation & Funeral Mass: The family will receive friends from 10:00 a.m. until the time of the funeral mass at 11:00 a.m. on Monday, July 23, 2018 at St. Mary’s Catholic Church, 108 W. Adams St., Taylorville, IL 62568, with Rev. Msgr. David S. Lantz, celebrant. 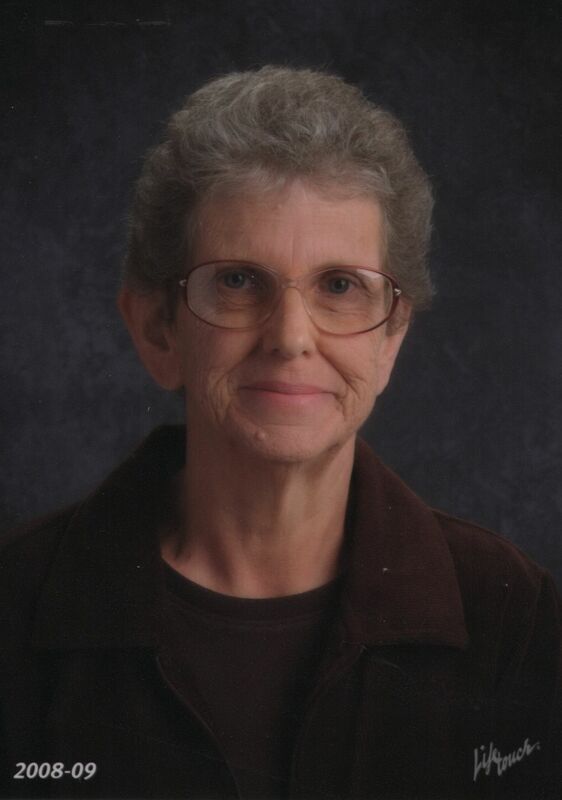 Memorial Contributions may be made to: St. Mary School, 422 S. Washington St., Taylorville, IL 62568. Katrina Marie Davis, 30, of Taylorville, passed away unexpectedly at 3:08 p.m. Saturday, July 15, 2018 in Blue Mound. Katrina was born on August 23, 1987 in Springfield to Jim and Wendy Davis. She graduated from Pawnee High School. Nine years ago, Katrina became a mother to Jadyn, who became the love of her life. She was a talented photographer who truly enjoyed seeing the world through her lens, and she adored having Jadyn as her muse and inspiration. She loved being a mother more than anything, and she will be dearly missed. Katrina leaves behind her daughter, Jadyn Chronister; one sister: Kayla Davis; her paternal grandmother: Janet Davis; aunts and uncles: Beth (Bob) Todd; Michael (Jennie) Davis; Susan (Chad) Wilkins; David Artis; Richard Dinger; Jadyn’s dad: Jason (Amanda Austin) Chronister; and many cousins. Katrina was preceded in death by her parents: Jim Davis and Wendy Davis, and her paternal grandfather: James J. Davis. A graveside service will be held at 10:00 a.m., Saturday, July 21, 2018 at Oak Hill Cemetery in Taylorville. McClure Funeral Home and Cremation Services is assisting the family with arrangements. Memories of Katrina, or condolences to her family, may be left online at www.mcclurefuneralhome.com. 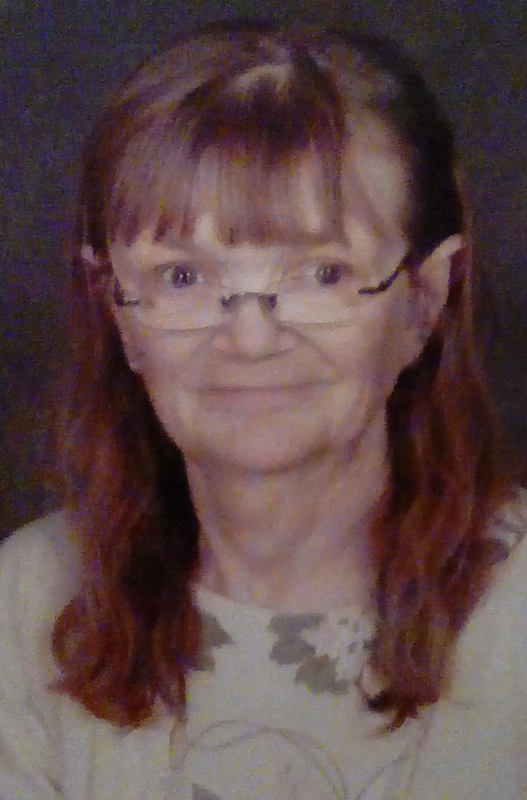 Pamela Barnes, 59 of Owaneco passed away on Thursday, July 12, 2018 at 3:50 p.m. at Taylorville Memorial Hospital in Taylorville, IL. She was born on February 9, 1959 in Colorado Springs, CO the Daughter of Donald Eugene and Iona Darlene (Sampson) Moffitt. She married Charles E. Barnes on May 3, 2003 in Palmer, IL and she worked as a homemaker. She is survived by her Husband: Charles Barnes of Owaneco, IL; Sons: Daniel (Gerry) Barnes of Boyertown, PA; Samuel Joseph Foote of Springfield, IL; Christopher Wayne Barnes of Taylorville, IL; Daughters: Dawnsule (Matthew) Stephens of Moore, OK, Danielle Moffitt of Taylorville, IL, Darci Moffitt of Taylorville, IL; Grandchildren: Myrical Moffitt, Kyrie Moffitt, Ryland Stephens, Raedyn Stephens, Myka Moffitt, Kynci Moffitt; Mother: Iona Moffitt of Springfield, IL; Brothers: Steve (Jenna) Sampson of Greely, CO; Jim (Charlotte) Moffitt of Midland, TX; Sisters: Brenda Grossner of Nacogdoches, TX; Patti (Dave) Decatiore of Rochester, IL; Renee Moffitt of Springfield, IL; Several Nieces, Nephews and Cousins. She was preceded in death by her Father, Brother: Donald Moffitt Jr., Brother-in-Law: Brad Grossner, Nieces Neala Rogers and Julia Galluzzio. Memorial Service will be held on Tuesday, July 17, 2018 at 7:00 p.m. at the Community of Christ church in Taylorville with Pastor Ellis Sills officiating. Inurnment will be held at a later date. She is survived by her Sons: Ronald Barrett of Dover, TN; Ricky Lashbrook of Springfield, IL; Daughters: Linda Boyd of Vienna, IL; Nancy Wallace (Jim Sigler) of Taylorville, IL; Lisa Longden (Randy Hall) of Taylorville and Susan (Jeff) Daugherty of Kincaid, IL; Grandchildren: Ed (Amelia) Shoemaker, Autumn (Michael) Carter, Krystal Longden (Jim Baker), T.J. (Kayla) Shoemaker, Cicily (Mitch) Daigh, Zachary (Thien) Longden, Brian Shoemaker, Nicole Daugherty (Judson Conn), Kurt (Stephanie) Longden, Leanne Rice, Brandon Rice; Great-Grandchildren: Scarlett, Mabel, Lydia, Emmylou, Lilly, Alyssa, Jordan; Half Sister: Janette (Eric) Maxwell, Several Nieces, Nephews and Cousins. She was preceded in death by her Parents, Husband, Brothers: Carley Lawrence, Frazier Lawrence, Sidney Lawrence, George Lawrence; Sisters: Sarah Earhart, Willie Maude Mansfield, Edith Murphy. Visitation will be held on Monday, July 16, 2018 from 6:00-7:00 p.m. at Sutton Memorial Home in Taylorville. Memorial service will follow the visitation starting at 7:00 p.m. at Sutton Memorial Home in Taylorville. Burial will be held in Jackson Cemetery in Dover, TN on Tuesday, July 17, 2018 at 2:00 p.m.
Robert L. “Bob” Brockelsby, 66 of Taylorville passed away on Wednesday, July 11, 2018 at 6:00 p.m. at his home in rural Taylorville. He was born on February 3, 1952 in Springfield, IL the son of Carl and Norma (Nave) Brockelsby. He married Hattie Mae Reed on December 21, 1991 in Edinburg, IL. 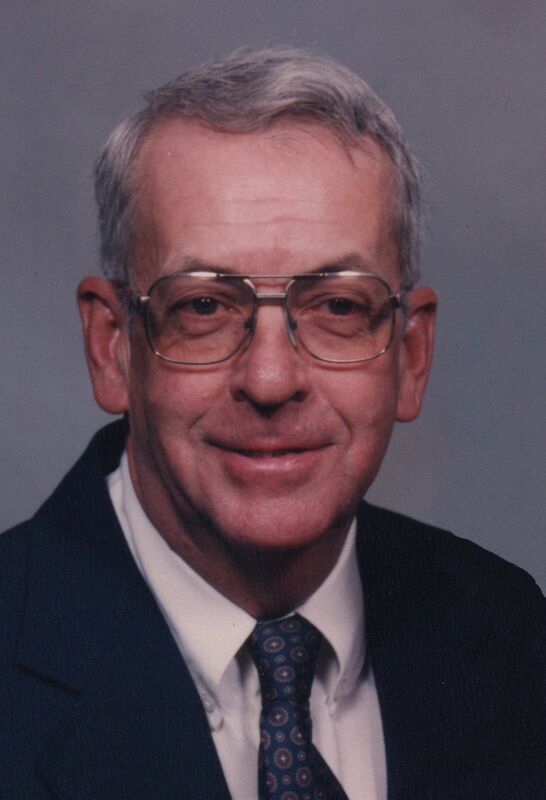 He enjoyed working as a farmer and field tileing for Carl Michel, he loved gardening and having coffee with his friends. He also enjoyed family get togethers and he loved food. Bob was a member of Moose Lodge #1516, and he had years of service on the Edinburg Park Board. He is survived by his wife: Hattie Brockelsby of Taylorville, IL; Son: Aaron Robert Brockelsby of Taylorville, IL; Daughters: Shelly (Joe) Wade, Kelly (Steven) Brown, and Heather (Eric) Adams all of Taylorville, IL; Grandchildren: BreAnna and Mikel Adams of Taylorville; six step-Grandchildren, seven step great-grandchildren; brother Lee (Karen) Brockelsby of Edinburg, IL; sisters: Cathy Padget of Rochester, IL, Sue (Ralph) Mateer of Blue Mound, IL; seven nieces and nephews, eight great nieces and nephews and several cousins He was preceded in death by his Parents, Brother Daniel Brockelsby and Brother-in-Law: Donald Padget. Visitation will be held on Sunday, July 15, 2018 from 3:00-7:00 p.m. at Sutton Memorial Home in Taylorville. Funeral service will be held on Monday July 16, 2018 at 10:00 a.m. at Sutton Memorial Home in Taylorville with Sr. Rose McKeown officiating. Burial will be held at Edinburg Cemetery Edinburg, IL. 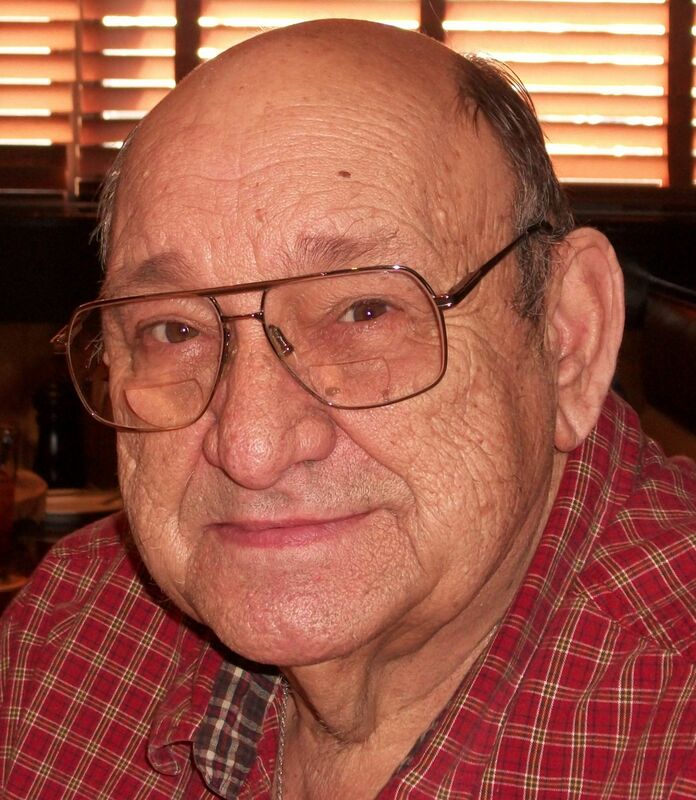 Ronald R. Large, 80, of Owaneco passed away peacefully at 3:30p.m. on Tuesday, July 10, 2018 in his home with his family by his side. He was born on August 20, 1937 to Rodell and M. Hazel (Still) Large. Ron graduated from Taylorville High School in 1956 and received a Bachelor of Science degree from Millikin University in 1960. He married K. Maxine Campbell in 1958 at the First Baptist Church in Taylorville. Ron worked as an accountant for Gene Kennedy Construction for 22 years. In addition, he farmed for over 50 years until retiring in 2012. He loved farming, old Western TV shows, and sports, especially St. Louis Cardinals baseball. He was known for his dry-wit and sense of humor. Ron served as treasurer, Deacon, and taught Sunday school classes at First Baptist Church in Taylorville for many years. In 2013 he became a member of 1st Baptist Church in Pana. He is survived by his wife of 60 years: Maxine Large of Owaneco; sons: Michael Large (Kiersten) of Riverton, and Mark Large (Carol) of Tinley Park; daughter: Julie Blue of Owaneco; sister: Charlotte Manfredo of Springfield; grandchildren: Mallory Hall (Tom) of Orland Park, Brian Large of Tinley Park, MacKenzie Large of Tinley Park, Isaac Blue (Jenna) of LaPorte, Indiana, Matt Blue (Melynda) of Normal; great grandchild: Jordan Ronald Hall of Orland Park; and many nieces and nephews. He was preceded in death by his parents; sister: Geraldine Heberling; and a baby brother: Meredith Lynn. Visitation for Ron will be held on Sunday, July 15, 2018 from 2 until 4p.m. at McClure Funeral Home in Taylorville. The funeral service will take place at 10:00a.m. on Monday at McClure Funeral Home with Rev. Nat Kealen officiating. Burial will take place at the Owaneco Cemetery. Memorials may be made to the First Baptist Church of Pana. 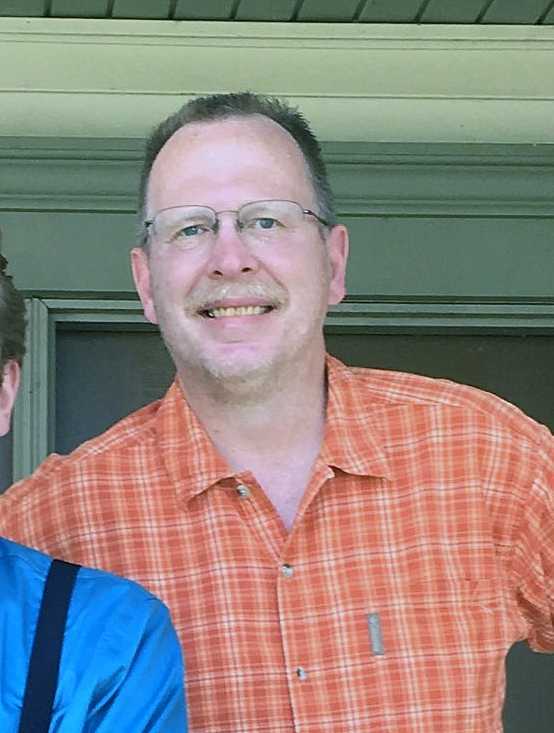 Brian M. Bergschneider, 47, of Taylorville passed away at 3:43p.m. on Monday, July 9, 2018 in his home. He was born on May 19, 1971 in Hillsboro, Illinois. Brian graduated from the Witt High School in 1989 and went on to serve in the U.S. Army. He was very proud of his time in the service and was active during the Desert Storm period and was stationed in Berlin, Germany, Afghanistan, and Kuwait. Brian worked as a manager at GSI in both Taylorville and Assumption. He enjoyed fishing, hunting, riding his motorcycle, and couldn’t start a day without his cup of Casey’s coffee. More than anything, Brian adored his children. He was always eager to talk about them any chance he had. Brian is survived by his sons: Jacob M. Bergschneider and Alex S. Bergschneider both of Taylorville; daughter: Lauren T. Hendrix (Lucy) of Alton; mother: Teena Durbin (Marlin) of Kincaid; grandmother: Adelia “Dee” Bale of Kincaid; brother: Todd A. Bergschneider of Petersburg; sister: Jaime Silva (Christopher) of Kincaid; and several cousins, nieces, and nephews. In accordance with Brian’s wishes, he will be cremated, and a private inurnment will take place at Camp Butler National Cemetery in Riverton. Ashley Kay Anselm, 36 of Taylorville, died in her residence on July 7, 2018 at 7:01a.m. surrounded by family, both in person and in spirit. She was born on July 14, 1981 in Decatur, the daughter of Aaron and Angela (Engeling) Anselm. Even in birth, Ashley decided to do her own thing, presenting herself as breach. She attended St. Mary’s pre-school and grade school and graduated from Taylorville Senior High School with the class of 2000. 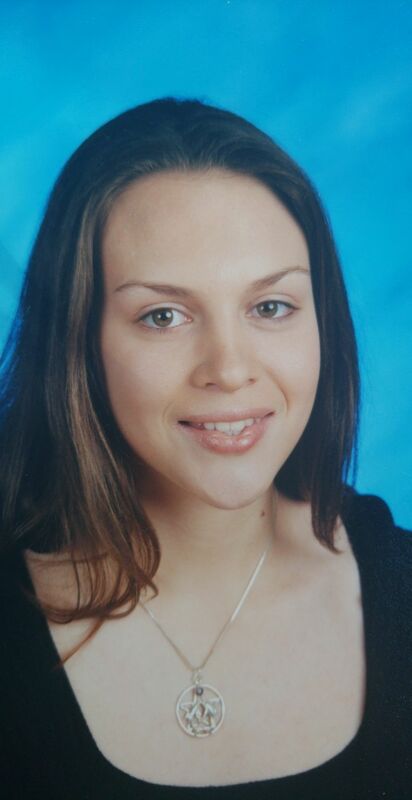 Despite her autism, and “supposed” lack of social skills, Ashley touched many lives in her short lifespan. She loved the years she spent babysitting Tucker Long in the backroom of Little Luxuries and hours spent visiting with clients at her sister’s salon, Hello Beautiful. Never having obtained a driver’s license, she loved to walk to Dana’s Book Store, Family Video, and Cottage Rose. She spent many Saturdays picking up lunch for the “Jensen Furniture Store Ladies”. In 2013 Ashley was diagnosed with a malignant brain tumor, which she and her family referred to as “Fred”. Despite Fred’s unwanted appearance in her life, she remained her positive, smiling, upbeat self up to the very end. Not once during her fight with cancer did she ever complain. She was an inspiration to all those she touched. Ashley will be forever celebrated by her parents: Aaron and Angela Anselm of Taylorville; brothers: Andrew (Julie) Anselm of Sugar Grove and Alex (Meghan) Anselm of Glenarm; sister: Aimee “Sweetie” Anselm of Taylorville; grandparents: Charles and Janet Engeling of Morrisonville and George and Donna Anselm of Taylorville; nieces: Peyton and McKenna; nephews: Dallas, Charlie, and Baby Anselm, who’s pending arrival any day; and a close extended family of uncles, aunts, cousins, and friends. A funeral mass for Ashley will take place at 11:00a.m. on Saturday, July 14, 2018 at St. Mary’s Catholic Church in Taylorville with Monsignor David Lantz officiating. Burial will take place at Old Stonington Cemetery. Visitation will be held from 5 until 7p.m. on Friday at McClure Funeral Home and from 10 until 11a.m. Saturday at the church. A celebration was being planned for her 37th birthday on July 14, and her family requests that her service be a celebration of her life. Instead of normal funeral attire, please wear something representing the things she loved: #fightingwithAshley t-shirts, her beloved Chicago Cubs, crosses, books, NCIS, Gilmore Girls, and Vera Bradley. In lieu of flowers, donations in her memory may be made through McClure Funeral Home to help with medical expenses of two other families whose children are fighting serious illness: Drake Lucas and Christian Evans. 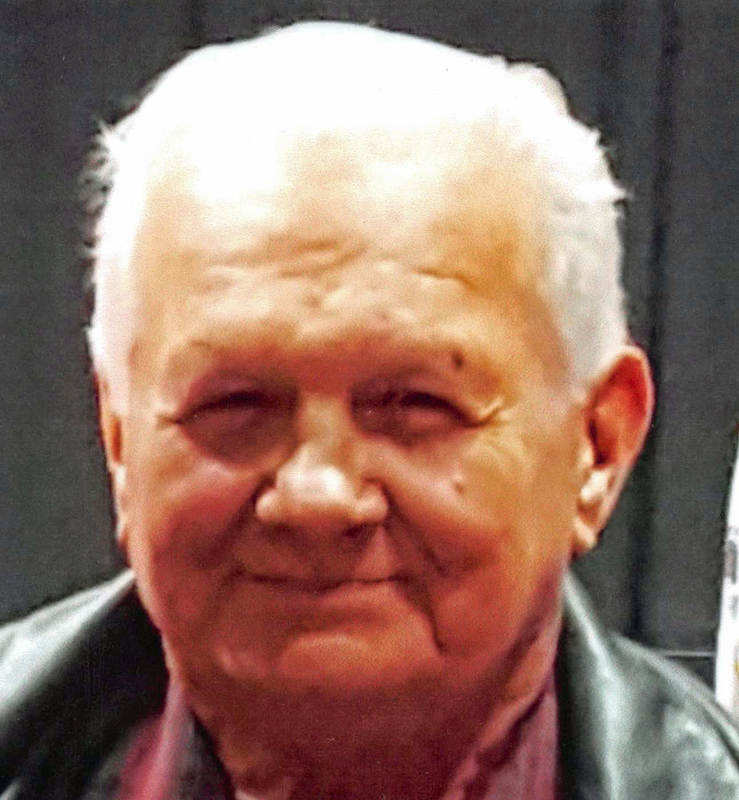 Benny Alan Baran, Sr., 77 of Taylorville passed away on Thursday, July 5, 2018 at 11:56 am at Taylorville Memorial Hospital in Taylorville, IL. He was born on December 25, 1940 in Georgetown, IL the son of Ben and Pansy (Burch) Baran. Benny was a military veteran as he proudly served his country in the United States Navy. He later worked as a coal miner for the Peabody Coal Company for over 30 years at Mine #10 in Pawnee/Kincaid IL. He retired from Peabody as a Mine Manager in 1994. Benny married Edith Duquenne on February 23, 1963. They enjoyed traveling the country together in their RV, watching television, and playing cards with his friends and family members. Benny was well known for his polite manner and good-natured sense of humor. He is survived by his wife of 55 years: Edith Baran of Taylorville, IL; Sons: Benny Jr. (Sue) of Springfield, IL; Tim (Jody) of Las Vegas, NV; and Bruce (Brenda) Pearson of Jackson, MO; Grandchildren: Bryan, Bridget, Matthew, Ariel, and Mason; Great-Grandson: Andrew; Brothers: Richard Baran of Burlington, WA and Jim (Sandra) Baran of Springboro, OH; and several other nieces, nephews and cousins. He was preceded in death by his parents. Visitation will be on Wednesday, July 11, 2018 from 10:00-11:00 am at Sutton Memorial Home in Taylorville, IL. The Funeral Service will follow the visitation starting at 11:00 a.m. at Sutton Memorial Home in Taylorville. Burial will be held in Oak Hill Cemetery in Taylorville with military graveside honors. 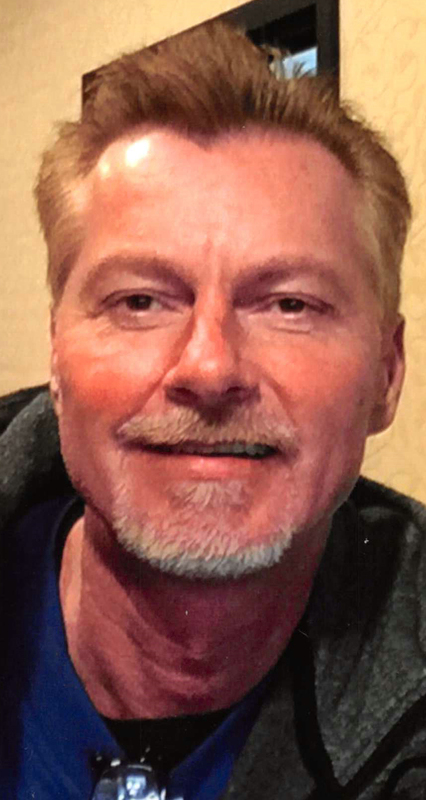 Martin David Ayers, 55 of Taylorville passed away on Sunday, July 1, 2018 at 4:23 a.m. at Decatur Memorial Hospital in Decatur, IL. He was born on November 19, 1962 in Taylorville, IL the son of Burbin and Virgina (Rhodes) Ayers. He worked as an LPN for several area Nursing homes and later at the Decatur VA Clinic. Martin loved his son Colin, The Beatles and his dog Beatles. He is survived by his Son: Colin Ayers of Taylorville, IL; Companion: Cheryl Robinson of Taylorville, IL; Brothers: Mike (Joe) Ayers of Taylorville, IL; Neil Ayers of Margate, FL; several nieces, great nieces, great nephews and cousins. He was preceded in death by his Parents, Sister: Patti Lou Sides, Brother: Mark Ayers. Visitation will be held on Thursday, July 5, 2018 from 5:00-7:00 p.m. at Sutton Memorial Home in Taylorville. Funeral service will follow the visitation starting at 7:00 p.m. at Sutton Memorial Home in Taylorville with Pastor Ellen Moma officiating. Inurnment will be held at a later date. Esther Mae Thompson-Hill, 102 of Danville, IL formerly of Taylorville passed away on Saturday, June 30, 2018 at 7:40 p.m. at North Logan Health Care Center in Danville, IL. She was born on September 16, 1915 in Sefton TWP in Rural Fayette County, IL the daughter of Ransom and Esma (Nichols) Bagley. She married Elmer Thompson on September 6, 1938 in Decatur, IL and he preceded her in death in February of 1989, then she married John Lovell in September of 1994 and he preceded her in death in 1999, then she married Lloyd Hill on October 30, 2000 and he also preceded her in death on January 29, 2014. She worked as a homemaker and She was a charter member of Taylorville Christian Church, a member of Prescott Valley Christian Church in Prescott Valley, AZ and the oldest member of the second Church of Christ in Danville, IL. She is survived by her Son: Dr. Leroy (Virginia) Thompson of Muskogee, OK; Daughters: Niaolvia Pop of Danville, IL; Nancy Crowe of Taylorville, IL; Judith (Dean) Huffman of Rockwall, TX; Carolyn Wands of Danville, IL; thirteen Grandchildren; Nephew: Stephen Bagley of California; Several Great-Grandchildren, Great-Great Grandchildren and Cousins. She was preceded in death by her parents, 3 Husbands, Brother: Wayne Bagley, Sons- in-Law: Ignatius Pop, Keith Crowe, and Gene Wands and 2 great grandchildren. Visitation will be held on Saturday, July 7, 2018 from 10:00-11:00 a.m. at Sutton Memorial Home in Taylorville. Funeral service will follow the visitation starting at 11:00 a.m. at Sutton Memorial Home in Taylorville with her son Dr. Leroy Thompson officiating. Burial will be in Liberty Cemetery in Brownstown, IL.